Earlier this year, ACYIG surveyed our members to learn more about their interests and involvement with the group. 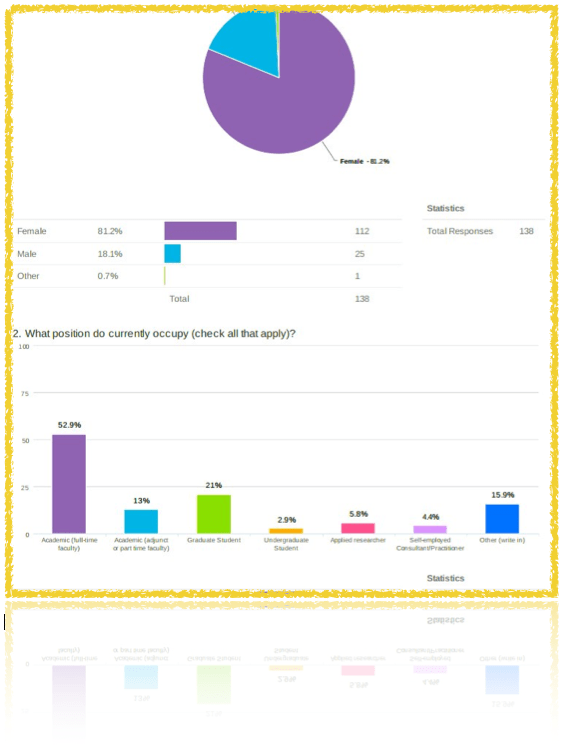 Of ACYIG’s 1047 current members, 138 people responded to the survey. It was advertised on the ACYIG listserv and website (with various reminders), and was administered online between mid-May and mid-June of 2014.